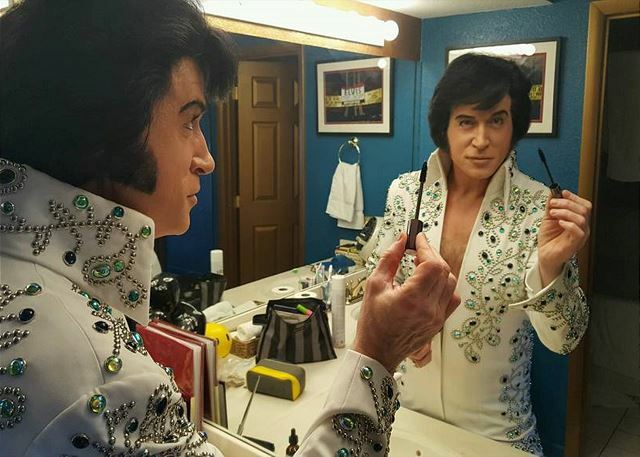 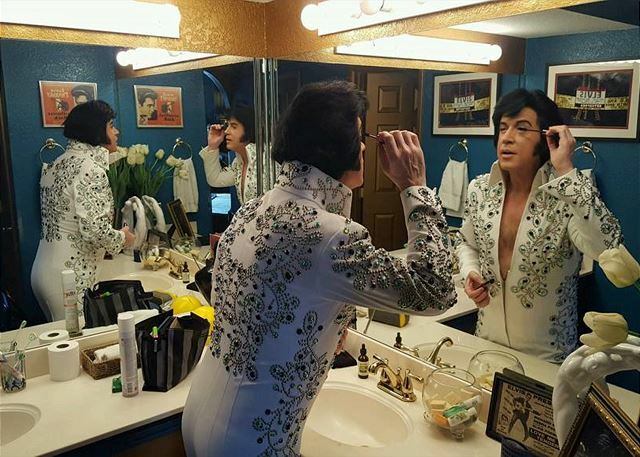 Travel back in time as you immerse yourself with The King of Rock and Roll. 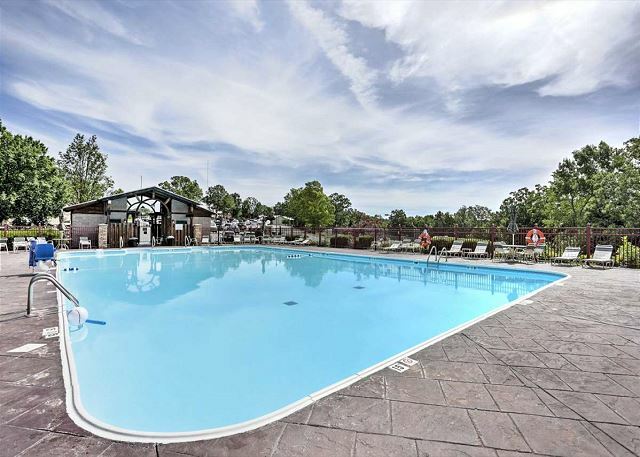 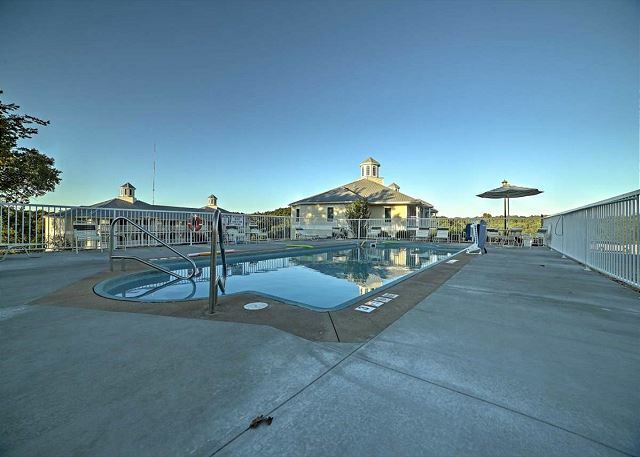 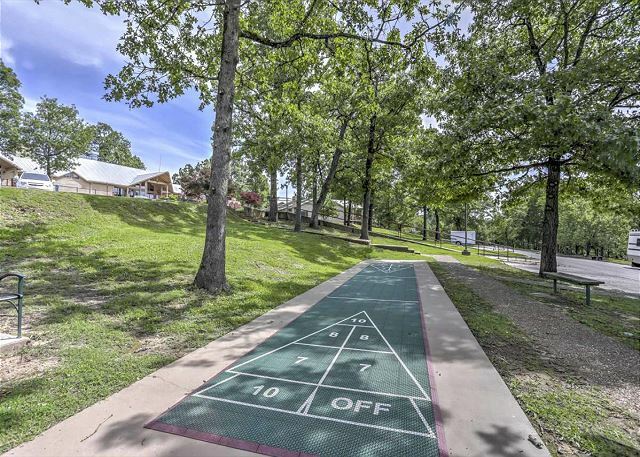 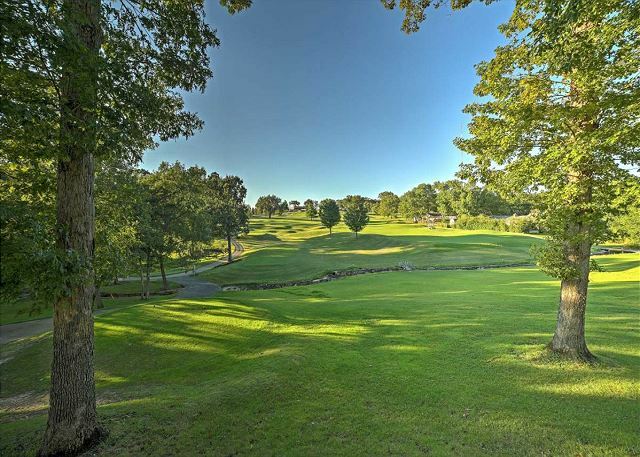 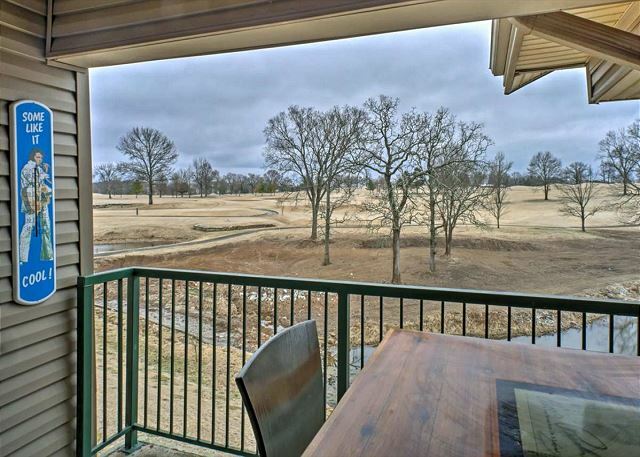 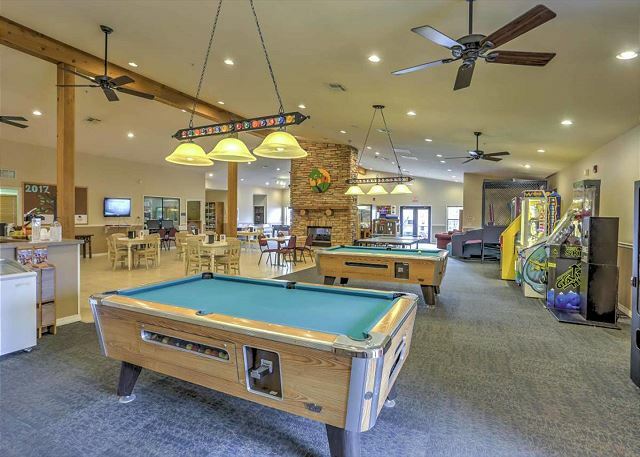 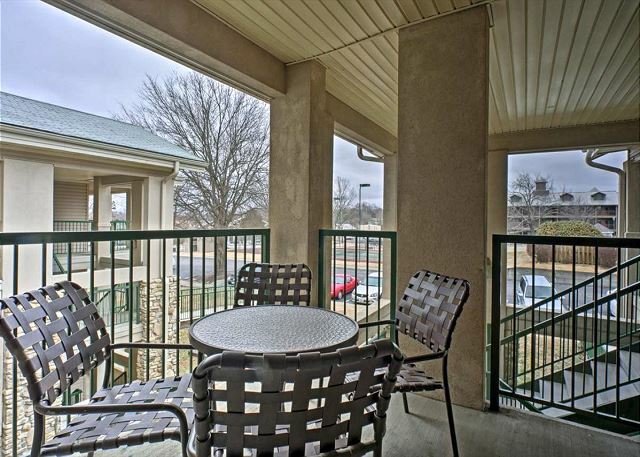 Surrounded by panoramic views of the Ozark Mountains and moments away from beautiful Lake Taneycomo and the famous 76 Strip, King Condo at Holiday Hills offers guests a modern 2 bedroom, 2 bath escape at Holiday Hills Resort just a few miles from downtown Branson and the ultimate Elvis experience. 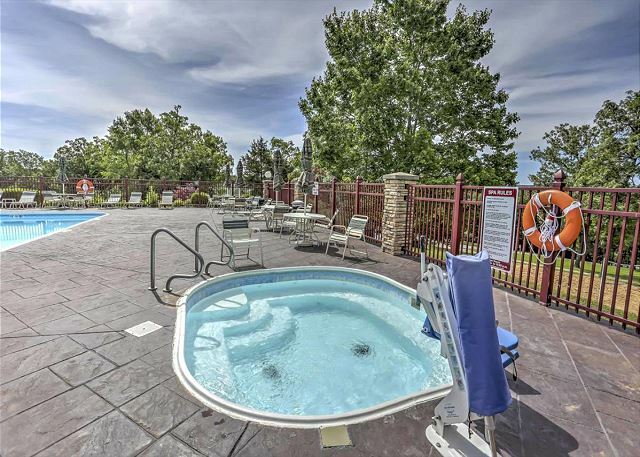 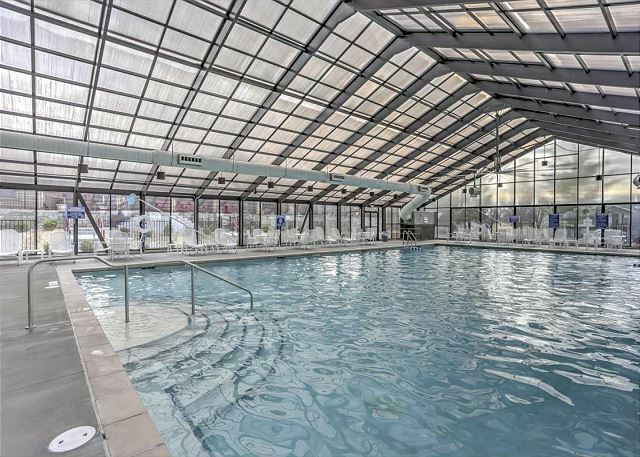 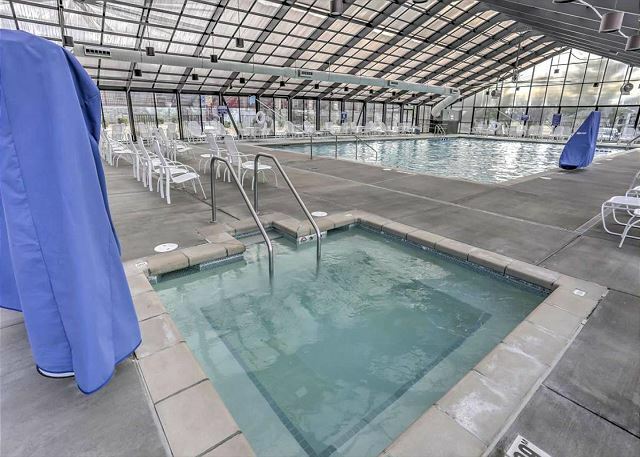 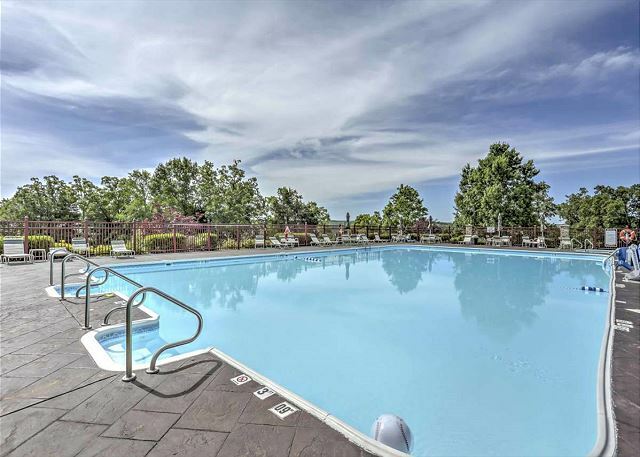 All of our King Condo at Holiday Hills guests have access to resort amenities such as a championship caliber 18-hole golf course, tennis courts, playgrounds, workout room, game room, theater room, snack bar, gift shop, multiple swimming pools and much more. 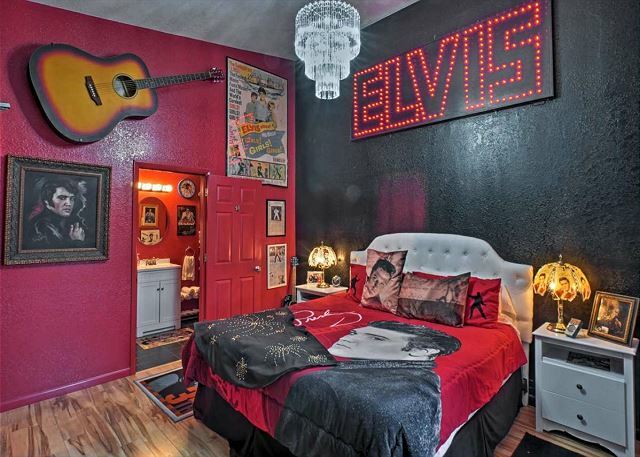 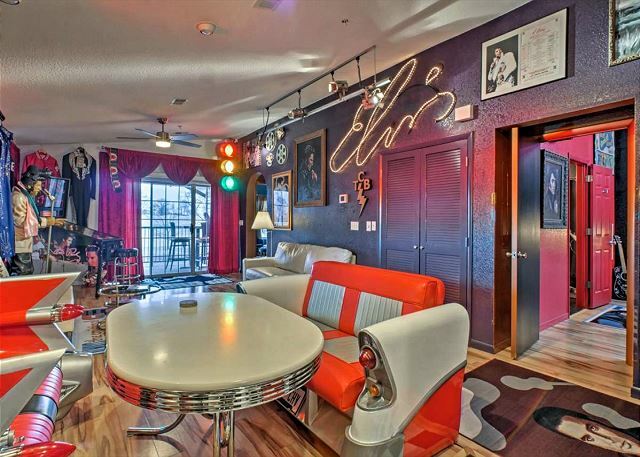 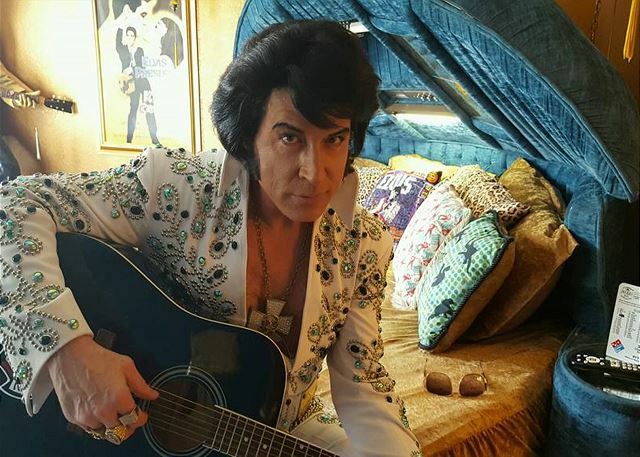 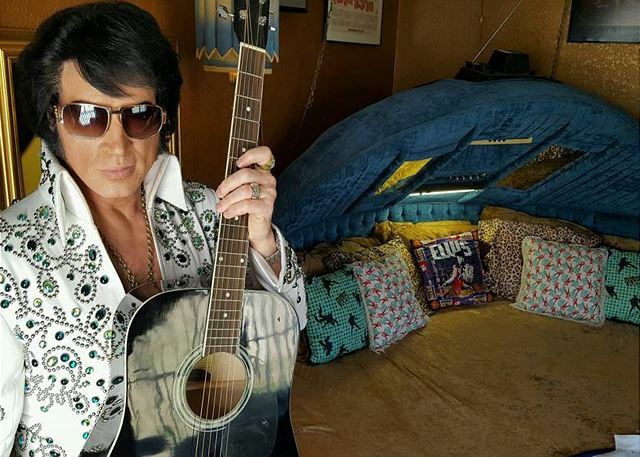 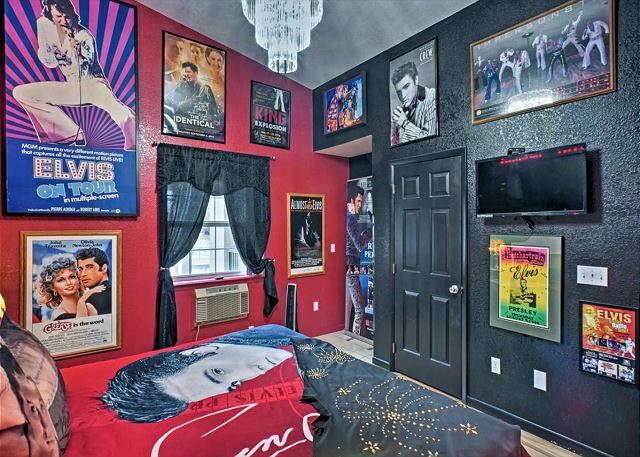 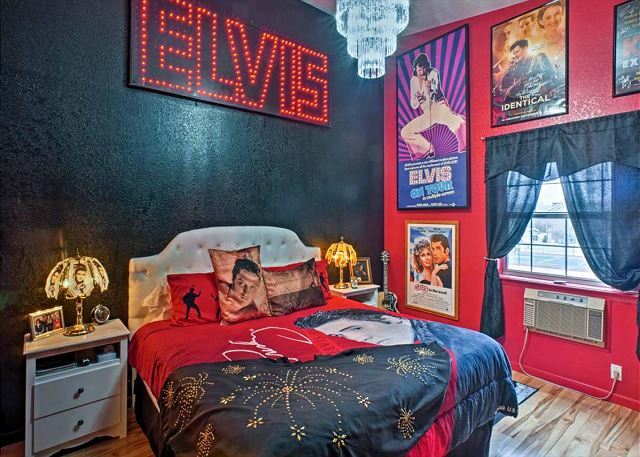 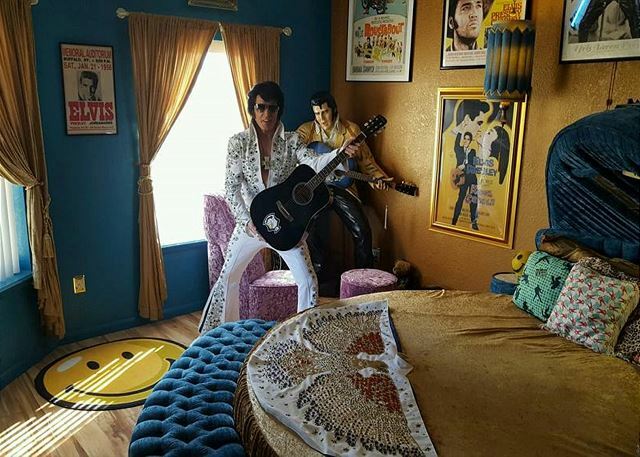 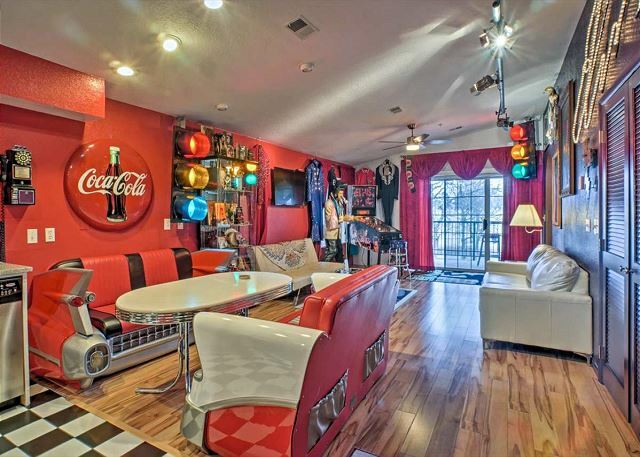 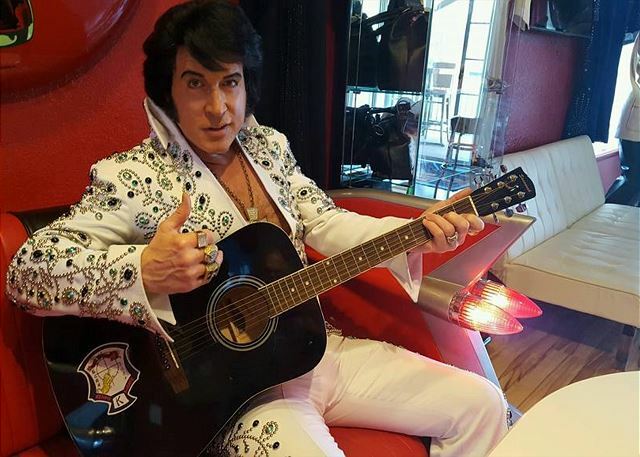 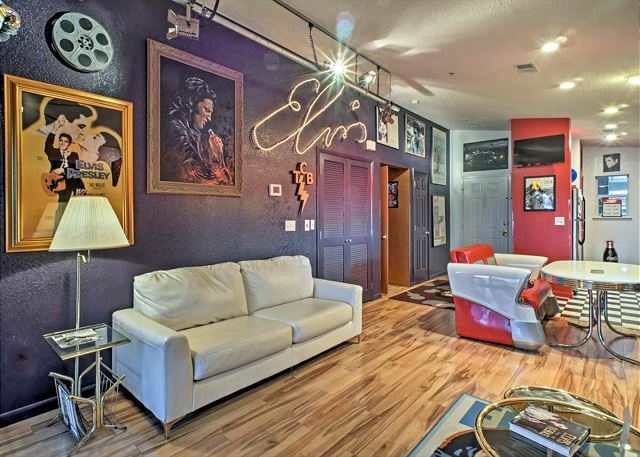 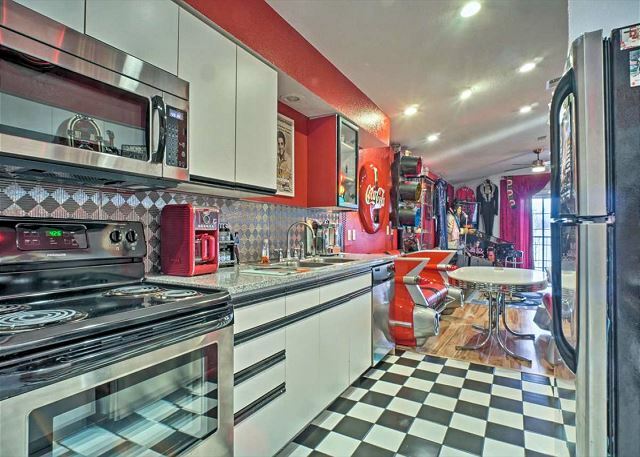 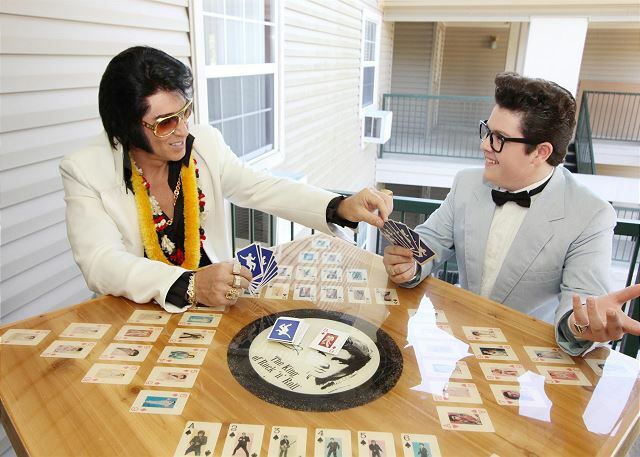 The pomp and pizzazz of Elvis greets you at King Condo at Holiday Hills with neon signs, hardwood floors throughout as well as pictures, statues and memories for you to reminisce of a time when The King Of Rock & Roll was King. 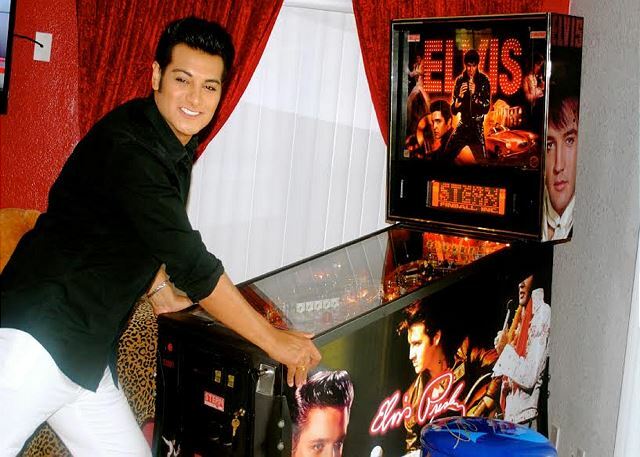 How are your pinball skills? 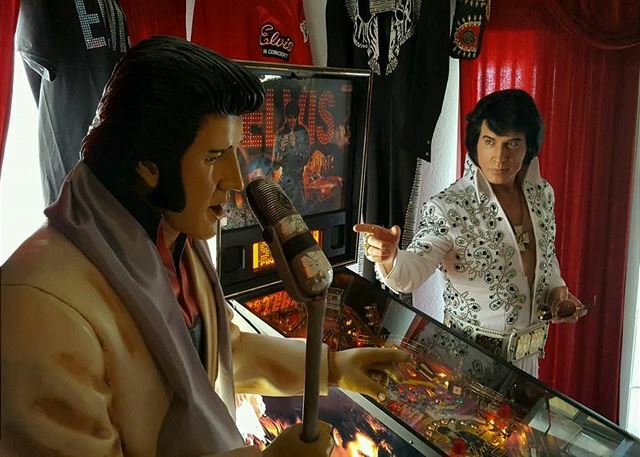 The Elvis pinball machine beckons you to beat the high score! 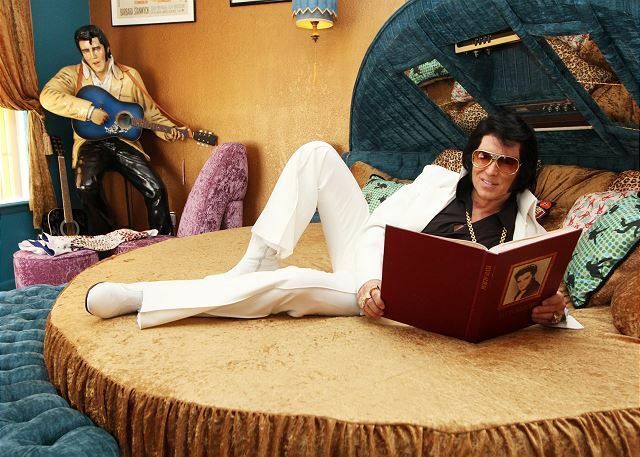 Bring your favorite Memphis Great 8-tracks and LPs to play or listen to the collection of the owner Ronny Craig's favorites on display. 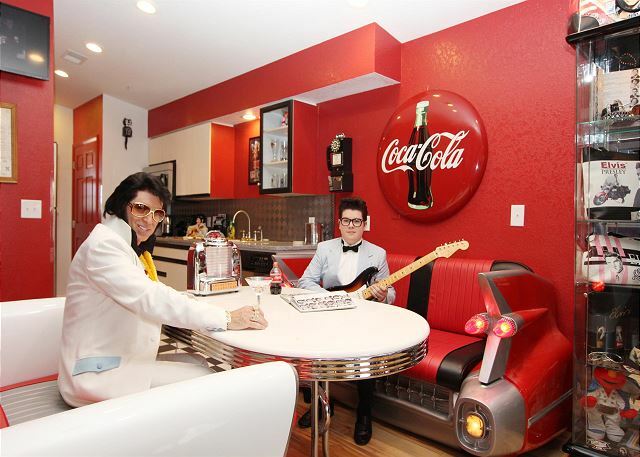 The Dining area of King Condo at Holiday Hills will bring back nostalgia of the 50s & 60s with Cadillac upholstered seating with an oval soda fountain Formica table and checkered tile floor. 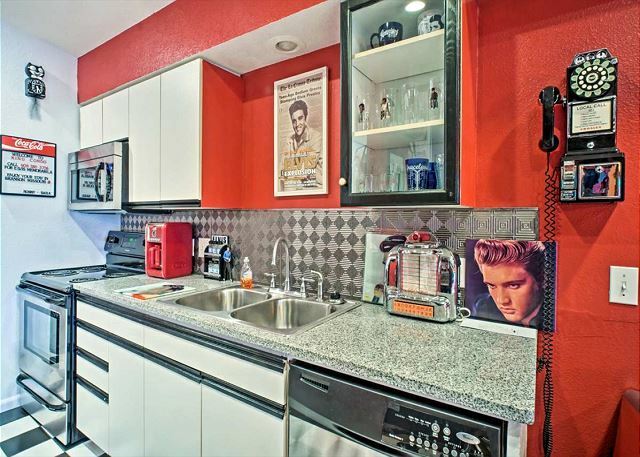 The Kitchen offers full amenities you would find at home: Full-size Refrigerator, Oven, 4-Burner Stove Top & Radar Range, Complete serving sets for dining of 6, a Dishwasher and Double bay stainless steel sink with garbage disposal. 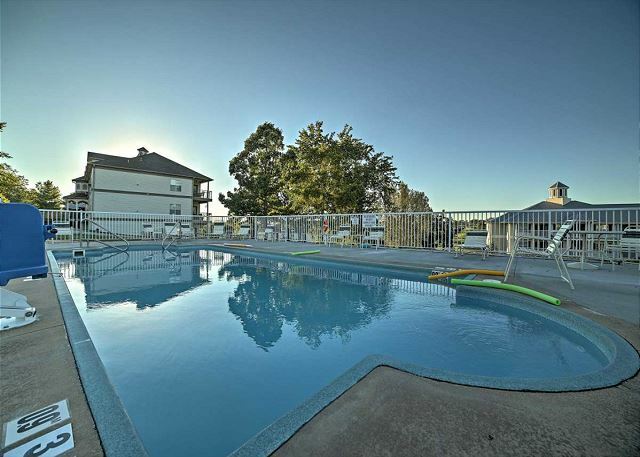 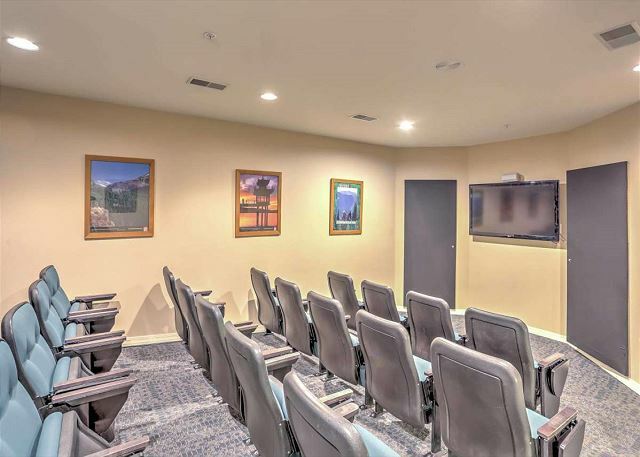 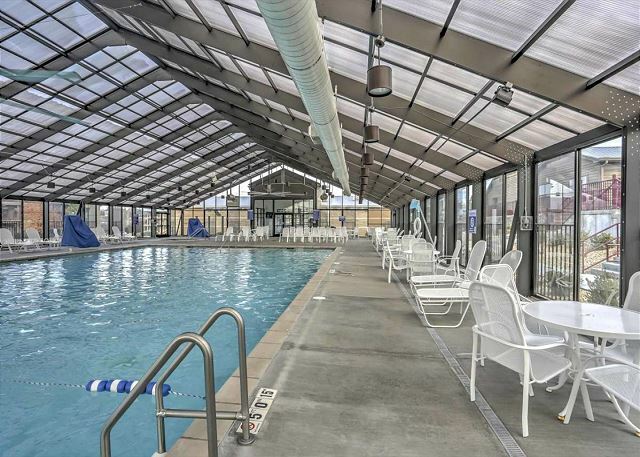 Of course there are multiple flat screen TVs, wireless internet, central heat and air and more conveniences to make you feel like a King-because you're staying with The King. 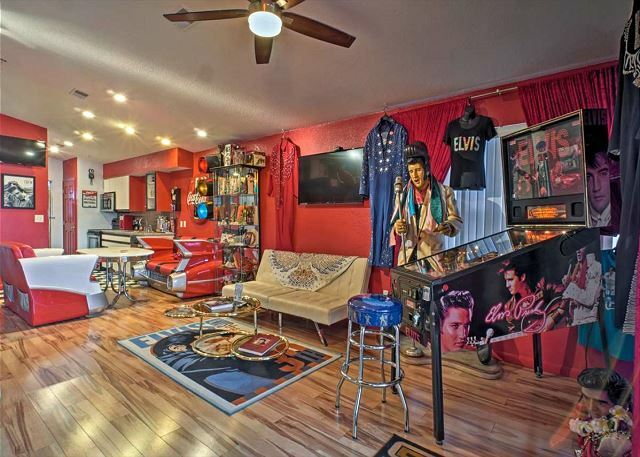 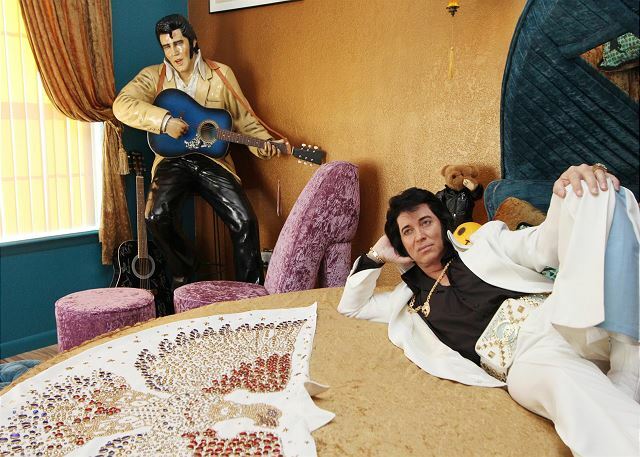 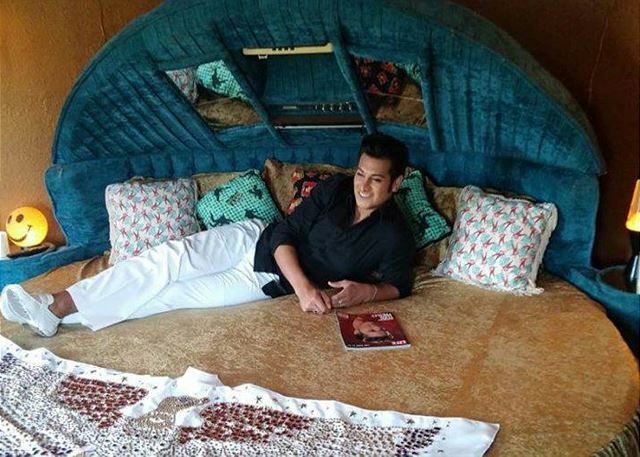 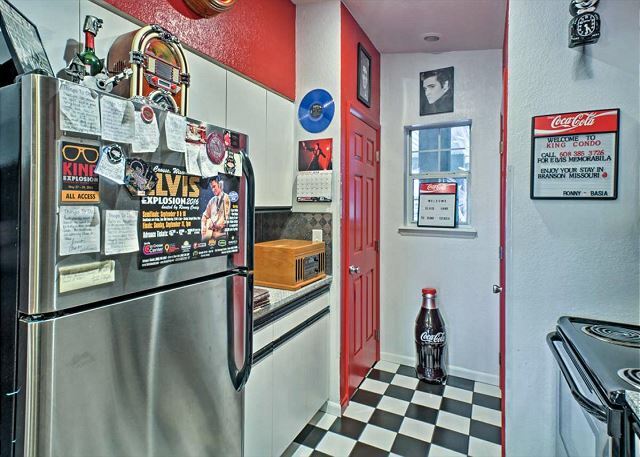 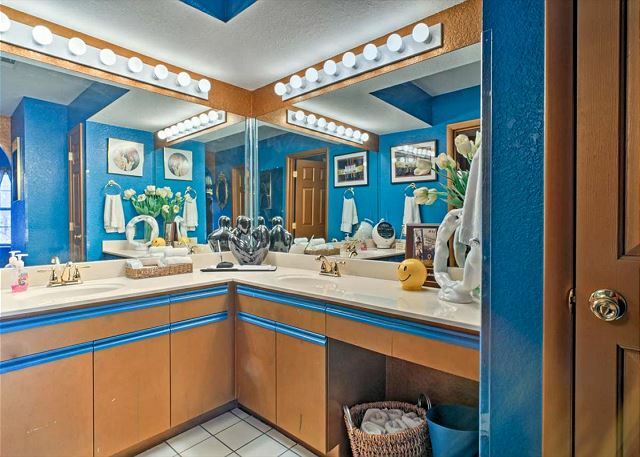 This is like living in an Elvis museum. 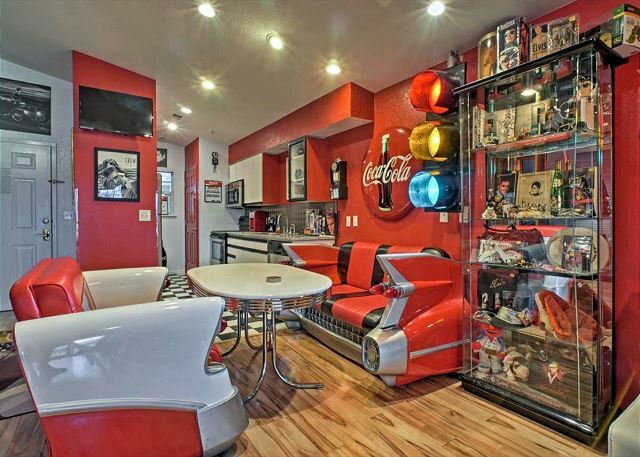 Very tastefully done and brought back lots of memories. 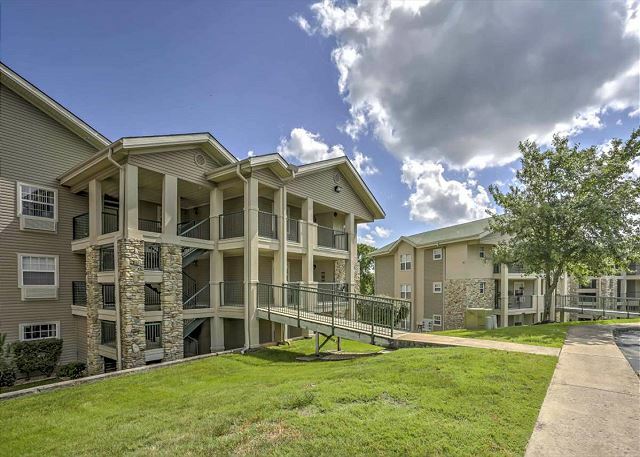 This is our second visit there. 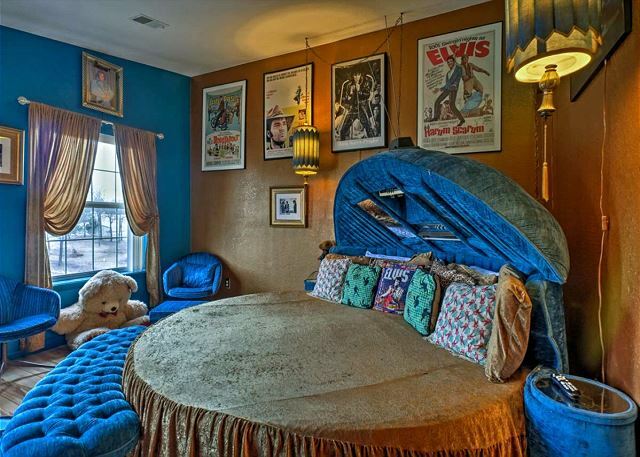 It is very clean beds are great. 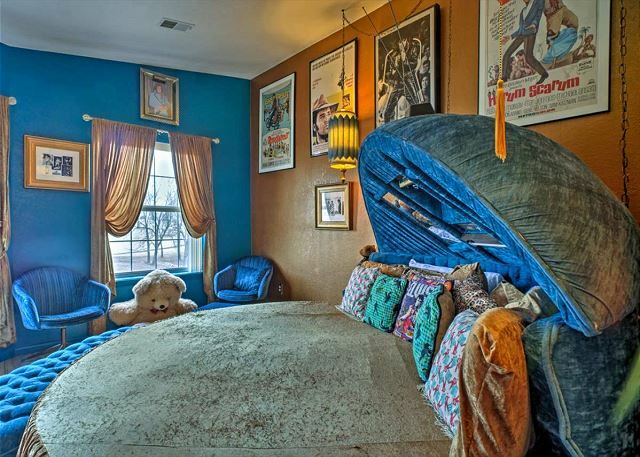 Very quite and close to the action. 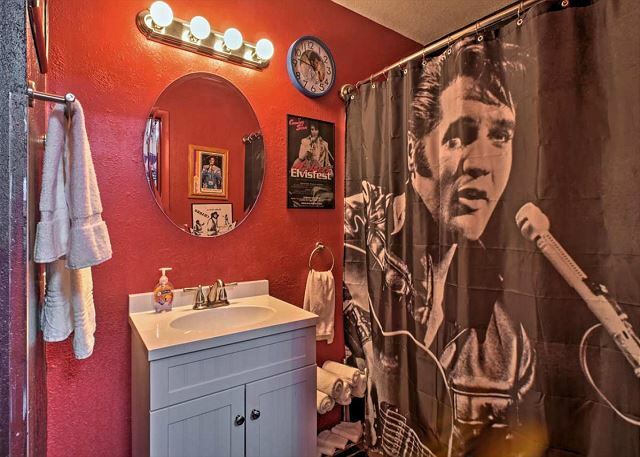 I would recommend this property to anyone. 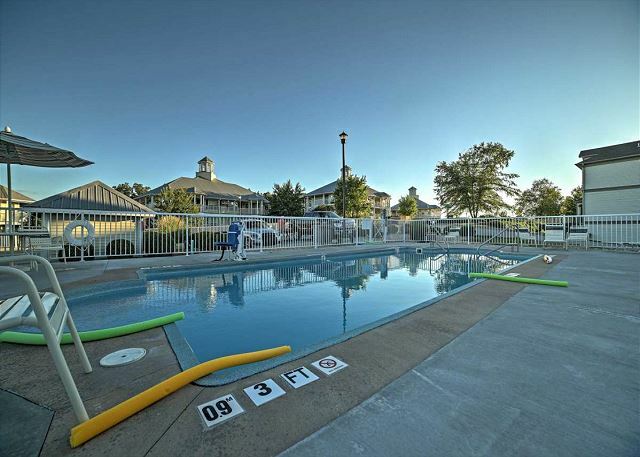 Our experience was AMAZING! 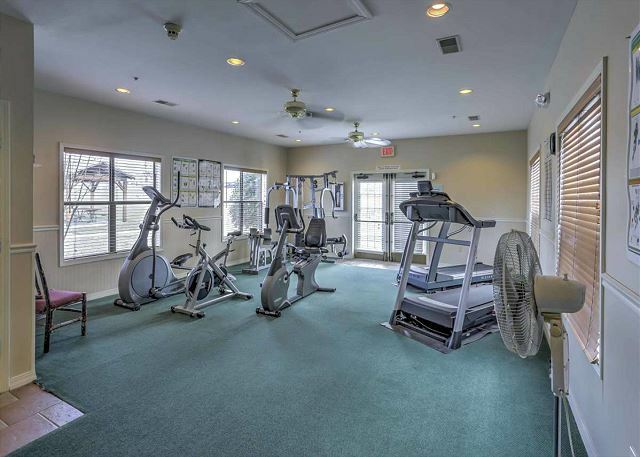 Room was clean, Good amenities, Well maintained. 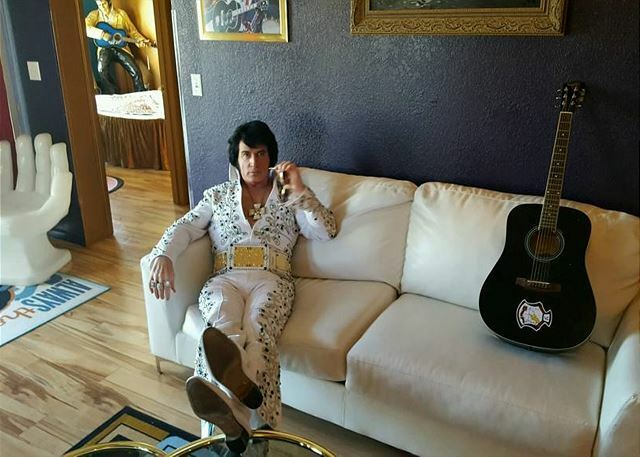 Normally when I am in Branson I spend most of my time during the day on the 76 strip and my evenings in the hotel watching TV. 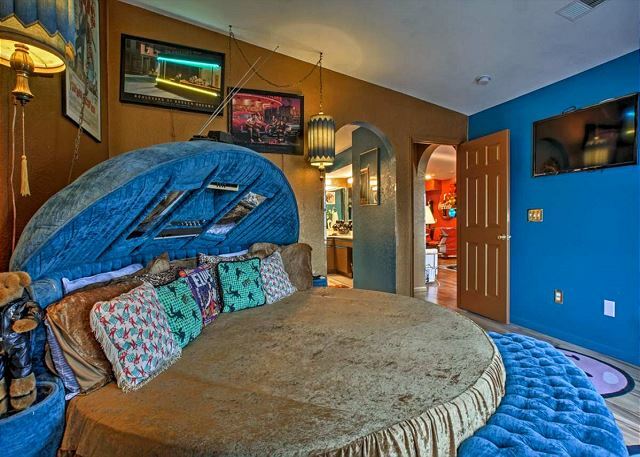 My stay at the condo was so full of awesomness that I hardly made it to the strip and the TV was barely even turned on. 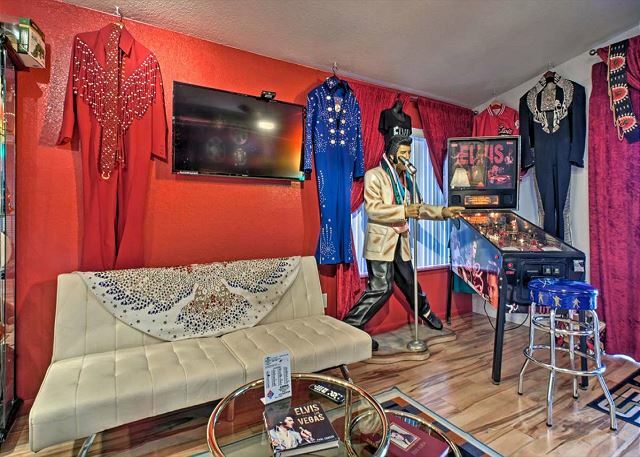 We spent most of the time enjoying the record collection and playing pinball. 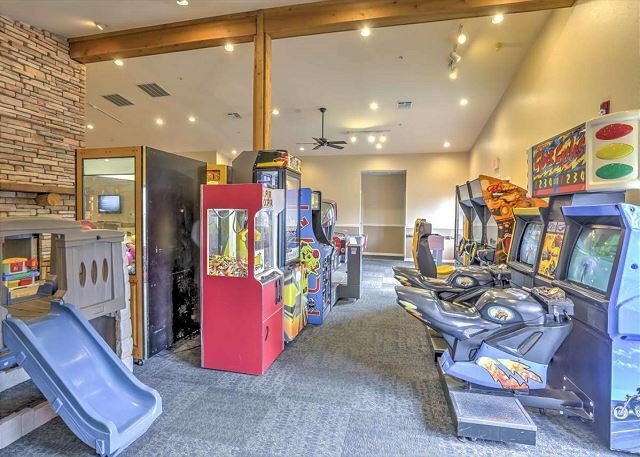 YES PINBALL! 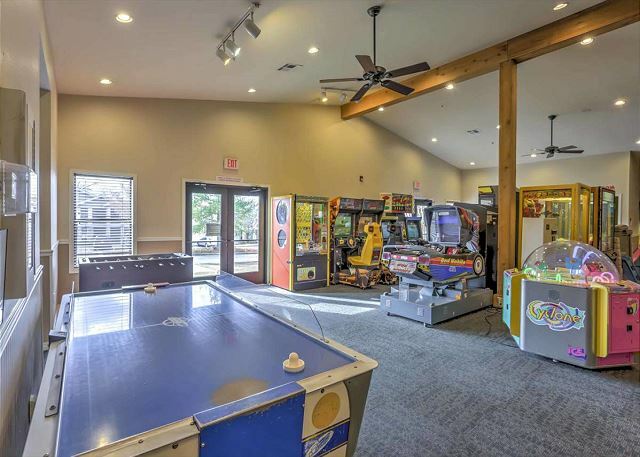 There is a great machine right in the lving room. 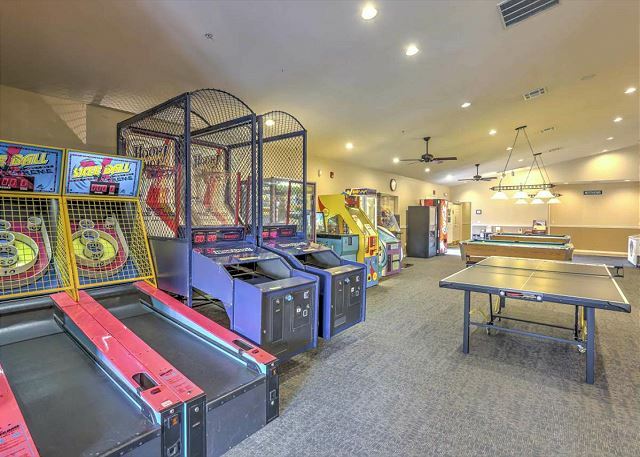 It uses quarters but you get 3 balls for only 1 quarter so it is priced for the days that the condo is themed for. 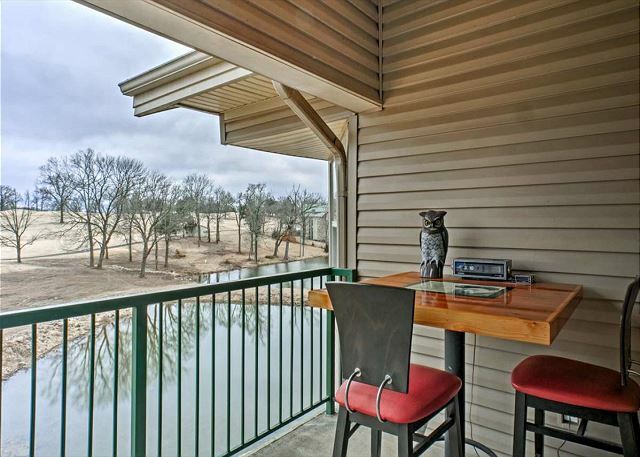 My only real complaint is that we did not have enough days to enjoy everything the condo and association offered. 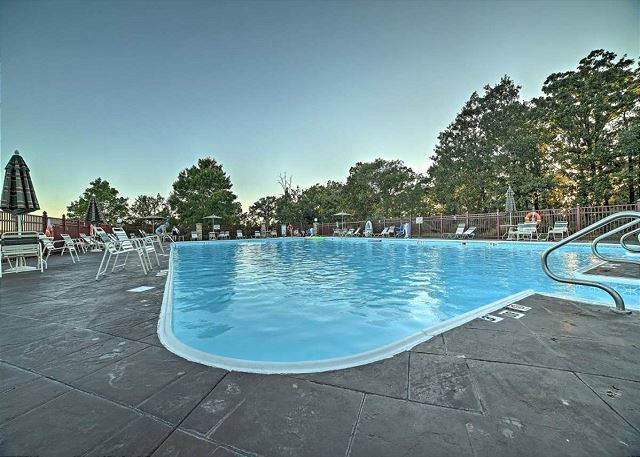 I want to go back RIGHT NOW! 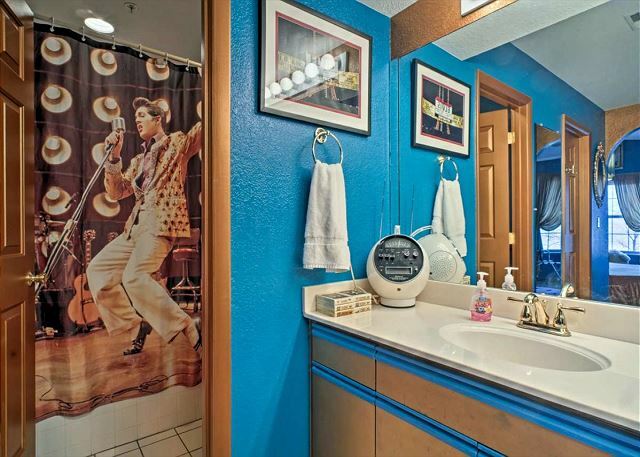 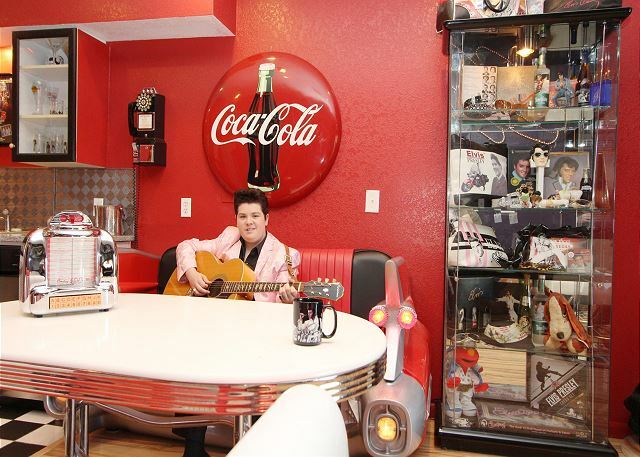 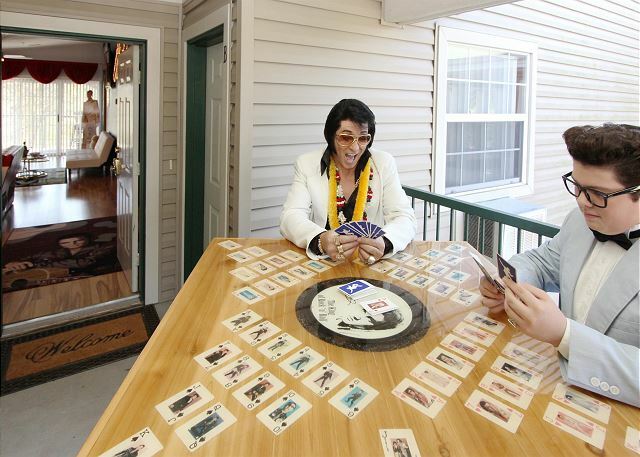 You don't even have to be a huge Elvis fan to have a great time here! 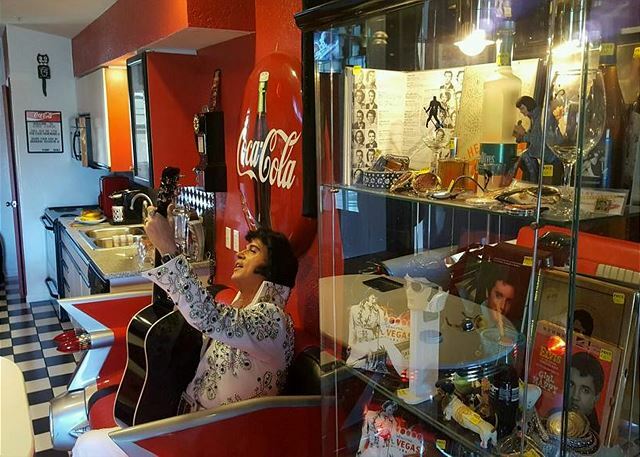 Absolutely amazing experience. 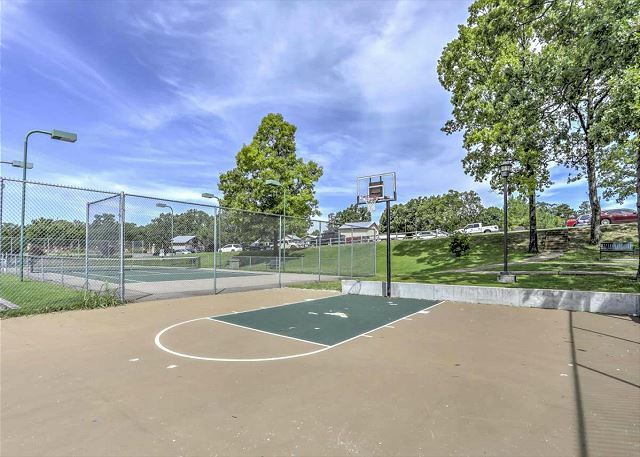 Wish it wasn't over.